Summer E. Parker joined Potestivo & Associates, P.C. in September 2009 as a mediation specialist and law clerk before being hired on as an Associate Attorney in November 2009. Summer earned her B.A. at Miami University , where she double majored in Political Science and Women’s Studies. Following her undergraduate studies, she attended Capital University Law School, where she earned her J.D. with concentrations in Alternative Dispute Resolution and Criminal Litigation. 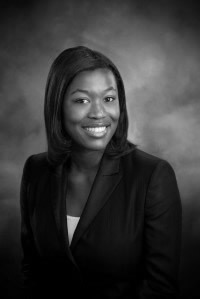 During her time in law school, Summer served as President of the Christian Legal Society, a member of the Student Advisory Board for Career Services, and was on the Dean’s List. Summer also held two internships at the Ohio Attorney General’s Office, assisting in health and human services and the court of claims section. Summer greatly enjoys community service, and she has taken an active role in organizing and participating in projects throughout the community. Most recently, she participated in the Michigan 3-Day Breast Cancer Walk and walked 60 miles to raise money for breast cancer research. She also participates in a variety of Potestivo & Associates’ many community service initiatives.